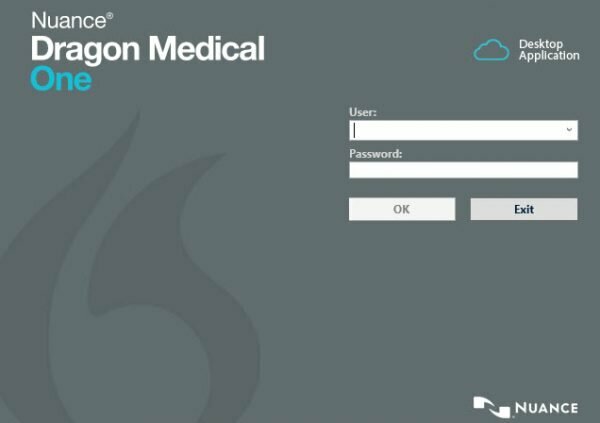 To change your Dragon password, you’ll need to start the application and log in. 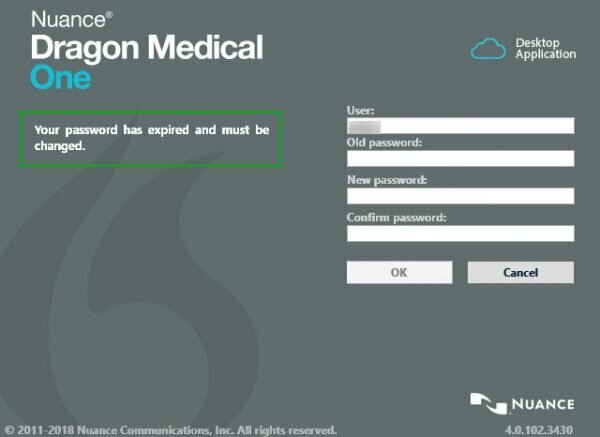 If you cannot log in, please contact your Dragon reseller. On the DragonBar, click the flame icon on the right. 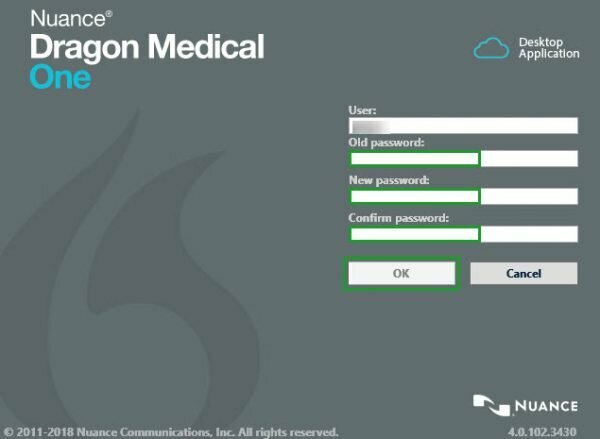 If you did not choose to change your password, but you see the screen below, it means that your Dragon Medical One administrator has required it. 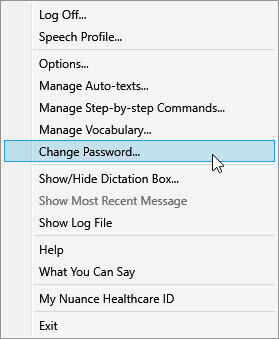 Enter your existing password, and then the new password (twice). Click the [OK] button. 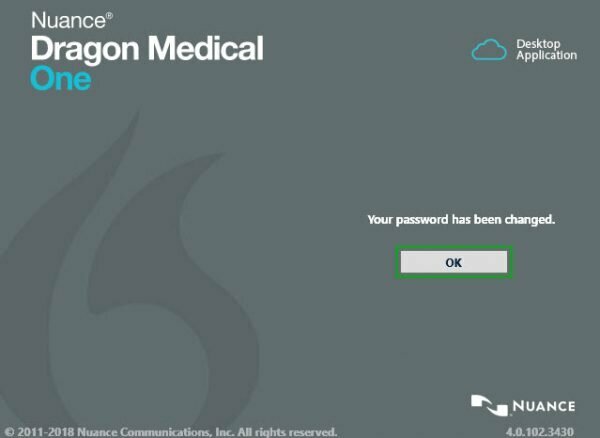 You just successfully changed your Dragon Medical One password. Click [OK].